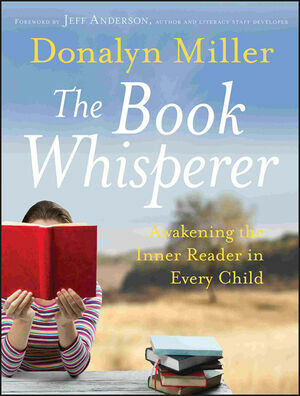 I just finished reading The Book Whisperer: Awaking the Inner Reader in Every Child. I thought it was great! Donalyn Miller is really inspirational. Mrs. Miller is a 6th grade reading/social studies teacher who believes that she should be developing life long readers who love reading (great belief!). By surrounding her students with books, her love of books, and having high expectations for her students, she by far exceeds her goal. She teachers nontraditionally by teaching lessons that students can apply to the books their reading. She also gives students 30 minutes of their instructional time to read independently. You won't even find basals in her room- she took them all away! She sets a requirement for her students to read 40 books through out the school year in different genres (her students previously average only 5 books for the entire school year!). They don't do book reports or any activity that isn't truly helping the students get better at reading, writing, or fostering higher thinking skills. The students do keep track of all the books they read in a notebook, they also write about them (Mrs. Miller responds to them with enthusiasm and as a fellow reader by asking follow up questions, not in a critical/judgmental way), and the students conference with Mrs. Miller where they discuses the books in depth and what book the students are going to read next. She talks to students as fellow readers not as a teacher drilling questions ensuring student's understood-- it is a very refreshing way to talk to students. Seems so much more relaxed right? I would write more but you need to read it! It's fabulous! See if your library carries it, I downloaded my copy right to my Kindle. Did you know libraries have their books online too? Ahhh it is AWESOME! Check out your local library. Ok, ok back on track.. It was hard to relate at some points of the book since my age group is much different than 6th graders. However, Mrs. Miller's underlying beliefs and strategies can still be applied. - I'm ditching the basals. I have been teeter toddering back and forth if I was really going to take the plunge but this book confirmed it. I needed the push! - I'm going to continue to surround my students with books (well written books & books that interest them) and continue building my classroom library. Also I plan to go to my public library to get more books (I can check out 50 books!) to change out and increase our book selection. - I know my district uses AR (Accelerated Reader) but each school puts a different amount of emphasis on it (not sure what my school does yet, I got a new job for those who are new.. welcome BTW :) but I really don't want to utilize it. If I have to use it (insert pouting face) I'm not going to put a big focus on the AR tests. My students will take a test after each book but I'm going to focus more on how they felt about the book, their favorite parts, ect. not the test. I want to instill a love of reading and not focus on reading to take a test. Mrs. Miller makes great points on why reading for incentives are not beneficial for students; students will want to read if you give them great books, you don't need to bribe them. Plus rewarding them doesn't instill a love of reading in them. -Implementing student choice (this is a big one! ), independence, and spending a big portion of our reading time reading. Do you know what this sounds like? The Daily 5! The Book Whisperer's beliefs align PERFECTLY with the sisters' who wrote The Daily 5! Both authors have similar beliefs and I'm so thankful the sisters developed a structure that works with our younger kiddos. Both books talk about student choice, independence, and spending time on reading (basically creating a sense of urgency). I'll be implementing the Daily 5 this year and am SO excited. Future post on that soon! - My class will be doing a lot of activities that align with what readers and writers really do. Students will be talking about books, recommending books to others, and even writing short book commercials to convince others to read the book (they will choose what books to write the commercials for since it has to be a book they loved). I really want to transform my students into readers and I think 2nd grade is the perfect year for that. -No at home reading log. I was on the fence about using one and what I want my homework to look like. This book pushed me to the 'No' side. An at home reading log doesn't actually create readers, parents don't like keeping track, students don't like keeping track, I don't even like keeping track! Since we will be reading a lot in class I want students to be so engrossed with their book they want to take it home to finish. This is all what Mrs. Miller did, her students were so into reading they would do it at home regardless. Lets hope I can do the same.. I should have made more notes while reading the book but I really wasn't expecting to write a blog post about it. I didn't think I would be so inspired! I know so many bloggers had it on their summer reading lists, have you read it? What did you think of it? If it wasn't on your reading list, is it now? I loved the book whisperer. I read it earlier this summer. Now I am readng the daily 5 and the philosophies of the two are very similar. My favorite quote from the book whisperer is that readers are made not born. This is going to drive my reading instruction. I have thought about creating a book club for the parents so that they can start to model reading at home. I read The Book Whisperer last summer and definitely need to reread it and be inspired! I have mostly ditched our basals; however, there are a few good trade books included in the basals that I still enjoy using. We use AR, but are allowed to use it as we see fit. I usually have students test on the books they check out of the school library, but do not necessarily have them test on all of the books they read in the classroom... or they would be testing all day! I agree that second grade is the perfect year to transform students into readers! Hmmm I need to go reread that book! It is pretty quick and easy to read so won't take you long to reread. I like your idea with AR, that is how I will probably do it too! I was going to make a bulletin board on tracking their AR points but this book steered me in a different direction! I know this is an old post but I'd love to find out what, if any, changes you made to your reading instruction. 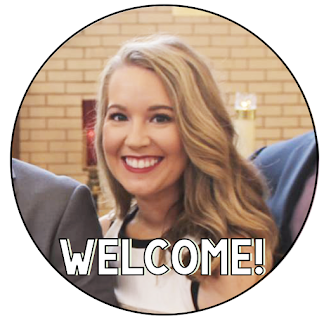 I'd love for you to blog an update, if you made any changes, or tried to. I read The Book Whisperer as a fifth grade teacher, but I am now switching to 2nd grade.